Buddy Blog! : Congrats to Liz on Emmy win! 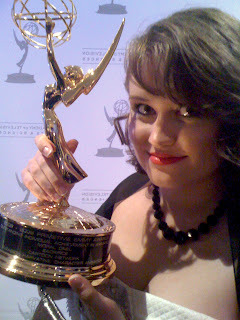 Congratulations to Liz Harvatine for winning an Emmy as a character animator on Moral Orel! Last year she was nominated for an Annie as an animator, but lost out to this guy. This year she takes home the big prize, and we're not talkin' about this guy! Nice work Liz. Perhaps next year you can win two.